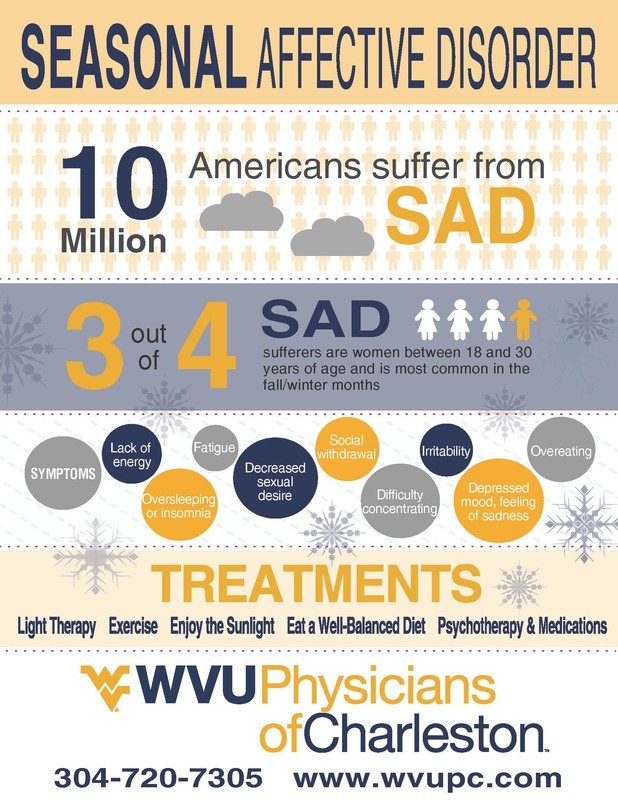 Dr. Witt Durden of the WVU Physicians of Charleston Internal Medicine and Specialty Office appeared on Eyewitness News with report Allison Scott on Wednesday January 16 to talk about the Winter blues and seasonal affective disorder (SAD). The winter blues are common, with many people experiencing mood shifts during the cold, darker days of winter. Those affected may feel more lethargic and down overall. If your winter blues start permeating all aspects of your life — from work to relationships — you may be facing seasonal affective disorder (SAD), a recurrent type of depression associated with the change in seasons. Dr. Durden said that SAD can effect your circadian rhythms (your body’s internal clock), which help control sleep-wake cycles. He suggested eating a healthy diet, exercise, and getting out into the sunlight daily to help deal with the depression that the Winter blues can cause. If the blahs of Winter become overwhelming, Dr. Durden encourages people to see their doctor, who can provide advice for symptoms, medication, and -- when necessary --referral to a therapist to help cope with depression. More than 10 million Americans suffer from Winter Blues and Seasonal Affective Disorder, with women ages 18 to 30 accounting for 75 percent of those affected. Durden is a primary care physician with the WVU Physicians of Charleston and is accepting new patients by calling 304-720-7305.